Discover your dream destination in Mexico. Velas Resorts offers luxury properties in breathtaking locations - from Nuevo Vallarta to Los Cabos and the Riviera Maya. 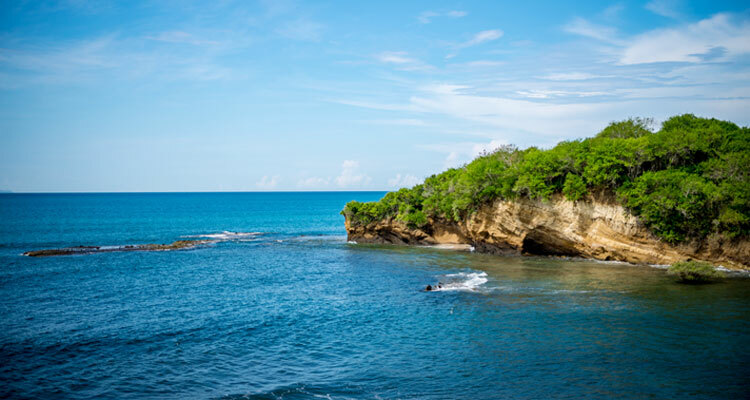 From the golf courses of the Vallarta Coast to the beaches of Playa del Carmen, our locales make for exquisite escapes on Mexico's enchanting coasts. Chart your journey to our all-inclusive resorts, and find your own slice of paradise, poised at the edge of Mexico's vibrant waters. 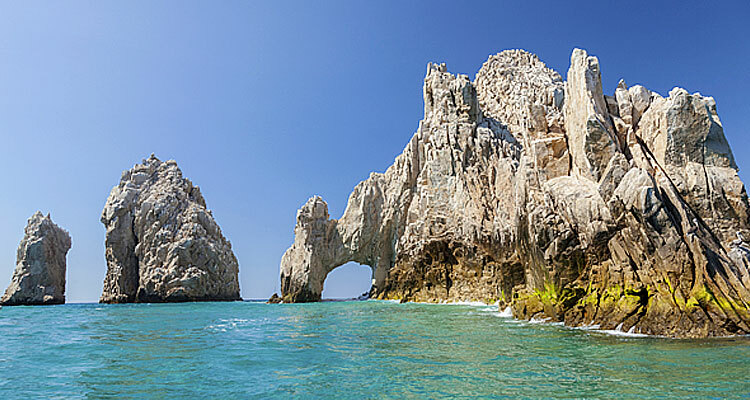 Facing the crystalline waters of the Gulf of California, near the edge of Chileno Beach, Grand Velas Los Cabos is a refuge on the tip of the Baja Peninsula. Turquoise waves and endless vistas provide the backdrop for vacations in this vibrant paradise. Harness the environment's serene energy with a rejuvenating spa session. Sample gourmet cuisine from some of the region's finest taste makers. Surf, play or swim, or spend days relaxing on the sands, preparing for evenings out exploring the local nightlife. Your perfect Mexico starts here. Hugging the gorgeous white sand beaches of Playa del Carmen on Mexico's Caribbean Coast, Grand Velas Riviera Maya is an all-inclusive vacation paradise. This intoxicating resort offers ocean and jungle view suites, a wellness spa, private beach, gourmet dining, fitness club, convention center, and butler service. Lounge by the infinity pool, soak up the sun, and indulge at fine restaurants. 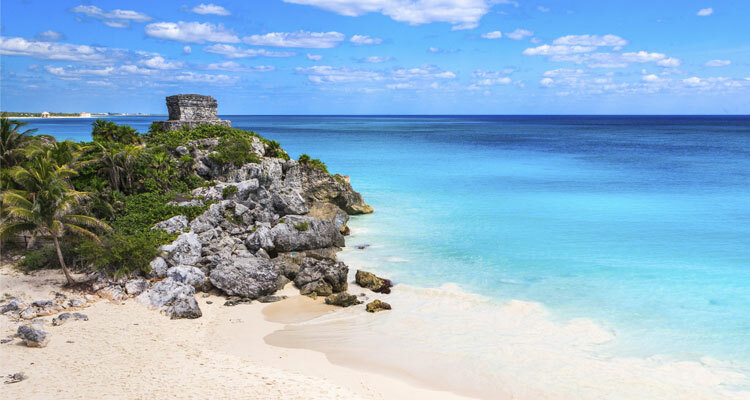 Discover Riviera Maya's beautiful Caribbean waters, wild jungles, Mayan ruins and the natural wonders of Tulum and Cozumel. Visit the website to learn more. Poised along Banderas Bay in Nuevo Vallarta, Grand Velas Riviera Nayarit is an all-inclusive luxury resort that soothes the soul. Relax in ocean view suites, enjoy gourmet dining, savor ocean vistas, rejuvenate at the tranquil spa, and play championship golf in a gorgeous Puerto Vallarta setting. Enjoy delectable cuisine at distinctive restaurants, swim up to the Aqua Bar, learn to scuba dive, and dance at a fiesta. Recipient of Conde Nasts' "Most Excellent Spa Hotel" award, our Riviera Nayarit resort rejuvenates the spirit. Visit the website to learn more.